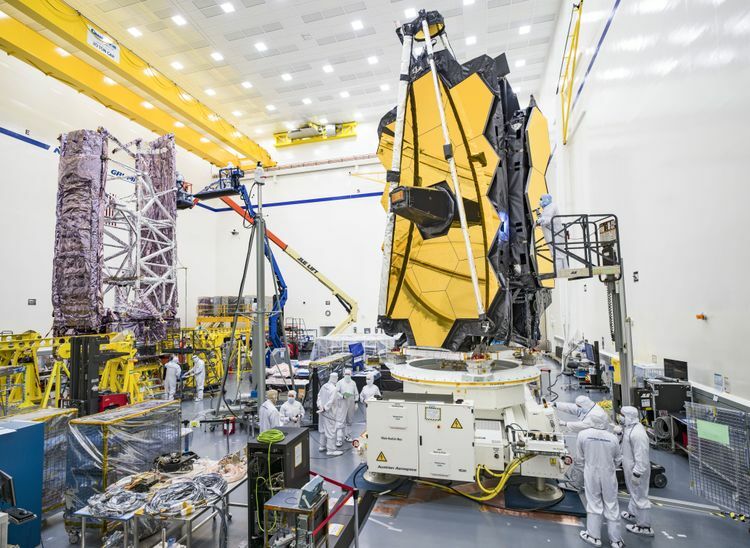 NASA’s James Webb Space Telescope Spacecraft Element during vibration testing at Northrop’s facility, in Redondo Beach, California. 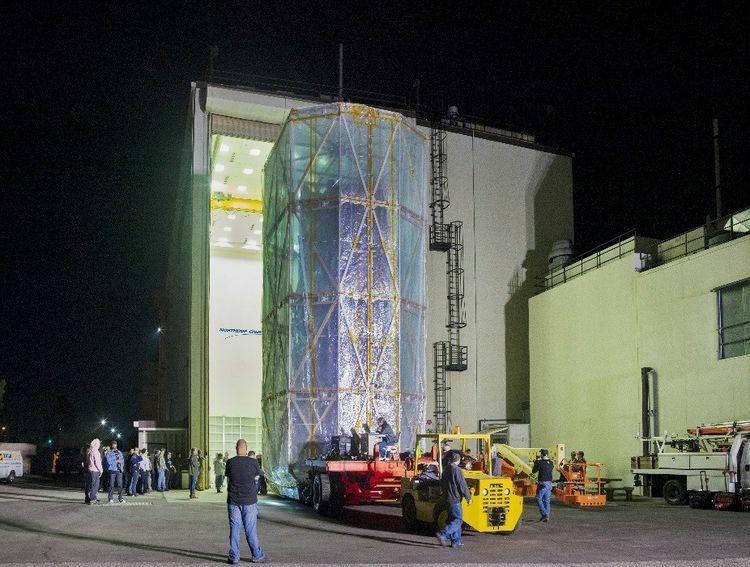 NASA’s James Webb Space Telescope on its way to acoustics testing at Northrop’s large acoustic test facility in Redondo Beach, California. 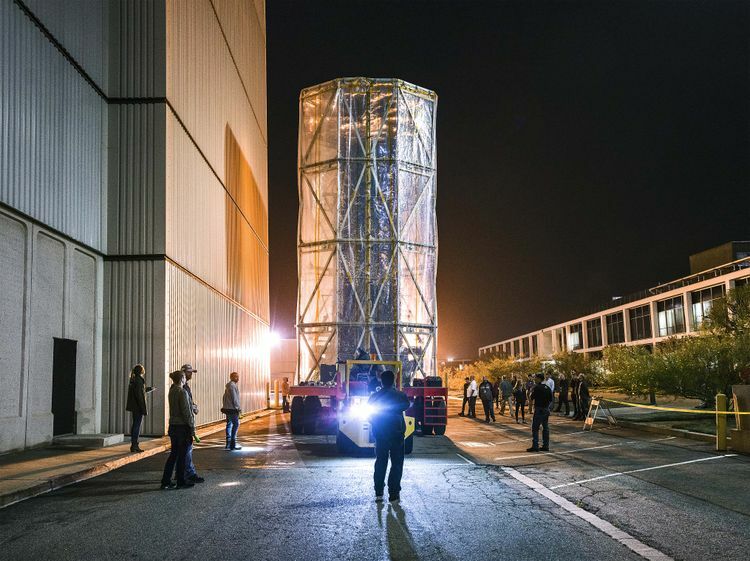 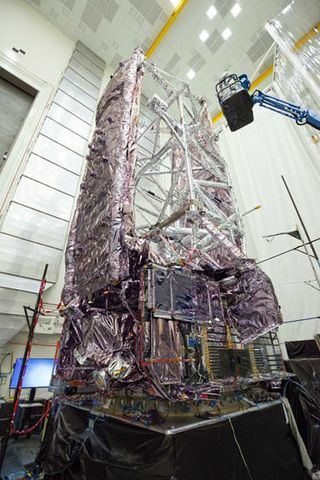 Team members from NASA and Northrop Grumman observing NASA’s James Webb Space Telescope Spacecraft Element being placed at Northrop’s large acoustic test facility, in Redondo Beach, California, in preparation for acoustics testing.